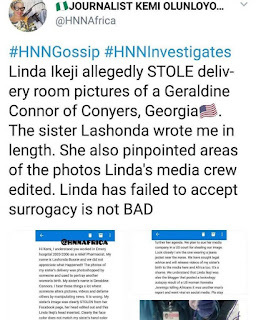 and controversial journalist, Kemi Olunloyo which happens to be linda ikeji's worst enemy seem to be getting more exiting as Kemi has shared a shocking story proving linda ikeji a damn liar. 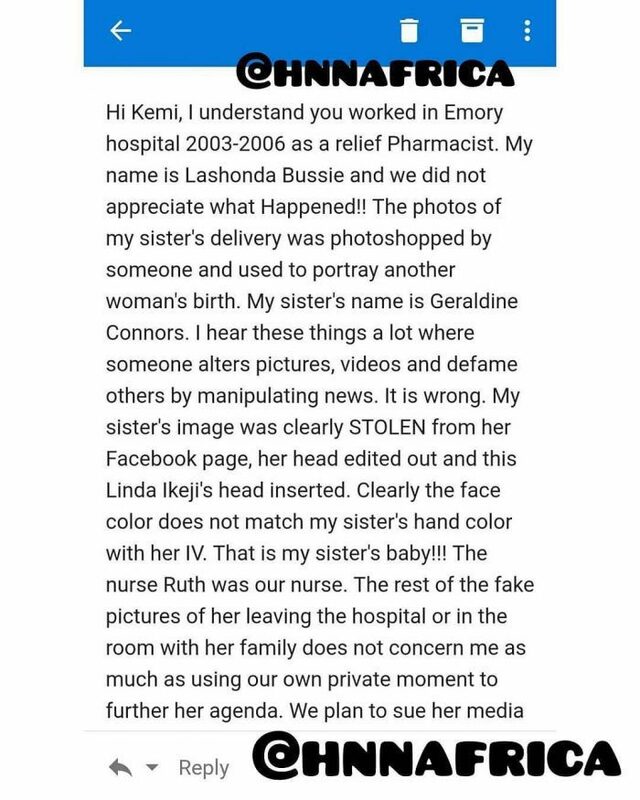 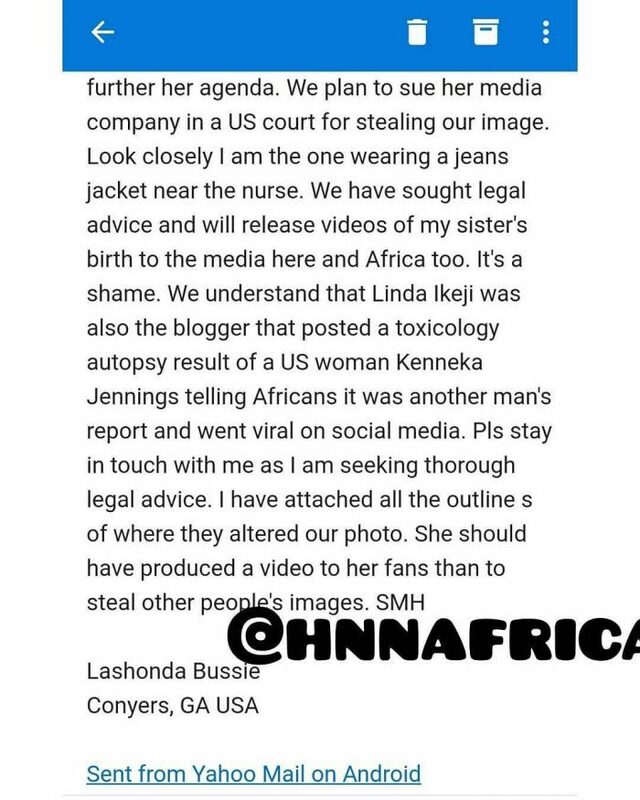 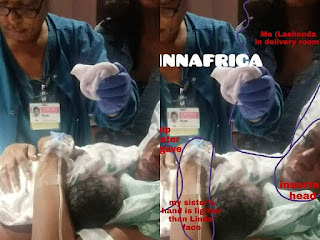 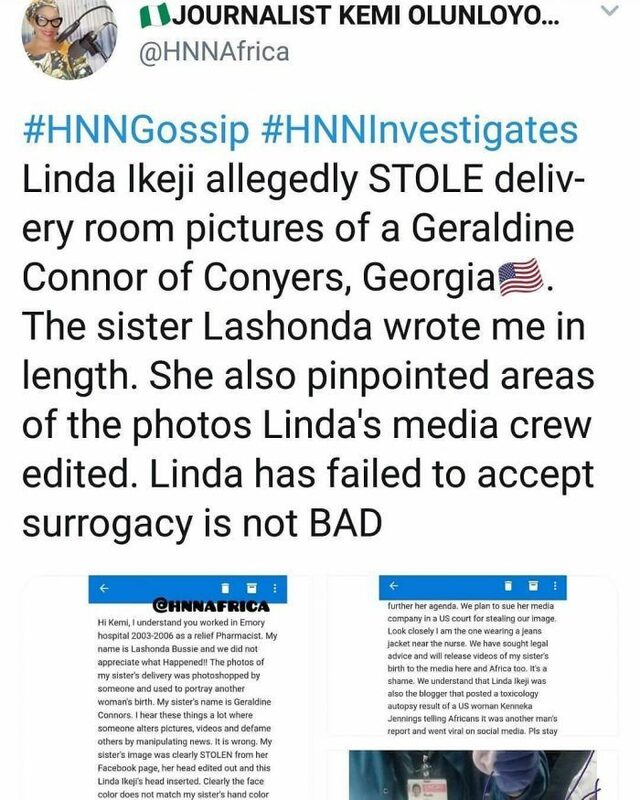 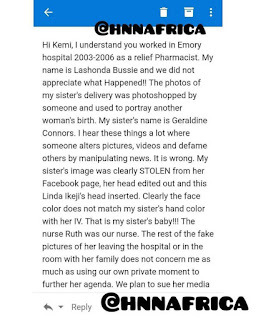 According to a post and photos she shared, kemi disclosed that linda stole another woman's delivery pictures to decieve the public. 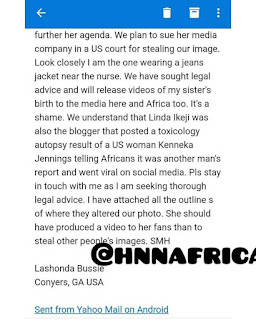 This photo which proved that the sister to the alleged woman who linda Photoshoped her delivery pictures sent a kemi an email threatening to bring linda and her media to justice.